Jah, rastafari! Whether skanking along to a one drop beat or gently chanking to an island-style song, reggae has an appealing sound. To play it on the ‘ukulele you have to have a little bit of an imagination, but that’s part of the fun! There’s a trick to a reggae ‘ukulele strum however! Easy to do, hard to execute. I’ll show you how. Listen to lots of reggae. I always say, “If you haven’t heard it, you can’t play it.” The more familiar you are with the style, the more you will understand what’s happening in the music – even if you physically can’t make the correct motions yet. Bob Marley is the obvious name here. He was the best, still is the best, and should be studied from the beginning to the end of his career. If you aren’t familiar with Bob, buy the Legend album and go from there. 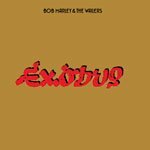 If you are familiar with Bob, beef up your collection with Exodus, Kaya, Survival, and as many other masterpiece albums as you can afford. Reggae is a band-based music. Each instrument plays a key role and each has a very unique sound that is found only within the genre. The obvious instrumental part that we’ll be copycatting on ‘ukulele is the guitar’s (sometimes also played by the keyboardist). Lucky for us, it’s also the most vital to the sound. Without the rhythm skank, reggae doesn’t sound so reggae. After the drum fill, listen for the repeating “chank chank chank” sound the keyboard and guitar are making. That’s the skank. Which you choose depends a lot on the song. 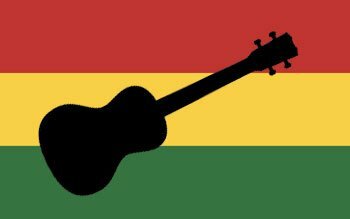 For this first, basic style of reggae strumming we’ll look at the former. Learning to feel the offbeat can be tricky. But with some patience and practice, there’s no reason you shouldn’t be able to pick it out of a lineup on your first try. Moving into more advanced reggae sub-genres we come to a different group of islands in the sea: Hawai’i. When the local Hawaiian musicians got hold of reggae, they created their own spin on the Jamaican sound. Jawaiian has a softer feel than reggae and is a little more friendly. The songs are more often about petty things than social injustice and struggle – the traditional reggae subject matter. Jawaiian has had some moderate success in the past decade breaking into the mainstream sound. Many pop songs have borrowed elements that gave them a more island feel without the hard reggae edge. I’m Yours, Cheerleader, and even some actual jawaiian songs by artists like Common Kings have found extensive airplay in the US and abroad. Obviously there are many ways you can change a genre and a simple strum variation is not all that makes jawaiian jawaiian. But in a nutshell on the ‘ukulele, a slight change can create a more island-y feel. If you’ll remember, in the first reggae ‘ukulele strum style – the skank – I said there were two ways to count the offbeat. On the “2” and “4” beats or on the “and” of each beat. Counting one way or another doesn’t really have an effect on the sound of the song, but by switching the counting, you essentially double the timing or cut it in half. 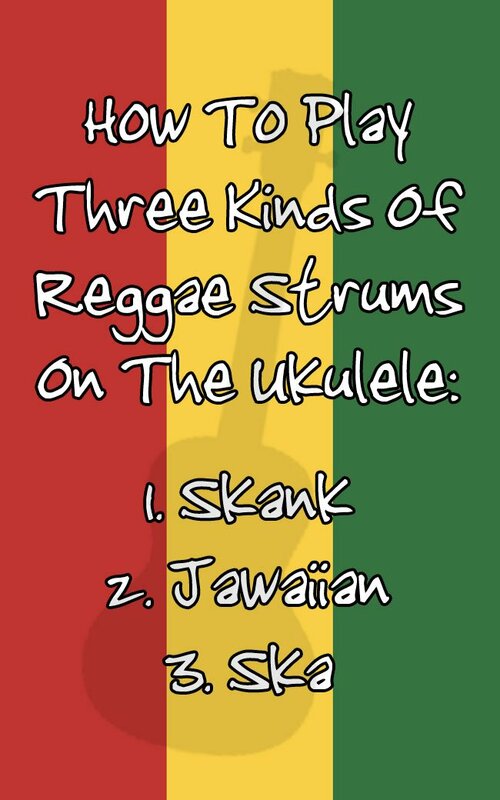 With this last reggae ‘ukulele strum style we’ll be leaning exclusively on the “and” count. This is a ska feel. It races along at an obnoxious doubletime pace. Like the guitar chank in the verse from this song by Sublime: Same In The End. With three different reggae ‘ukulele strum styles under your belt you’ll be able to play most things reggae on your instrument. What you should do now is begin learning your favorite reggae songs, one at a time. The chords to these songs tend to be very simple. Sometimes the whole song is only one chord! Master the variations on the chank and your feel will convey the message even if the chords are boring.